First, Pump your septic tank. Contact a professional septic system maintenance provider and schedule to have your septic tank pumped out and inspected. He will be able to tell you how often you should pump your septic tank. Then stick to the recommended pumping schedule. Simple routine septic system maintenance will Save you Money! Failing septic systems are expensive to replace. Poor maintenance is usually the culprit. Regularly pumping your septic tank is a bargain when you consider the cost of replacing the entire system. A failing septic system will not only lower your property value, it could pose a legal liability. Proper septic system care protects the environment by preventing groundwater contamination. One fourth of U.S. homes use septic systems. These homes disperse more than 4 billion gallons of wastewater per day below the ground's surface. A failing septic system can contaminate groundwater, nearby surface waters, and pose a threat to drinking water wells. A single family home will typically use 70 gallons of water per day per person. Septic systems are designed for a maximum number of gallons per day. Excess water flow Excess water flow will saturate the septic drainfield and cause a system failure. Common sources of excess water are leaky toilets and faucets. What shouldn't I flush down the drains? There are definitely Do's and Don'ts regarding what you can and can not flush down the toilet or drain. Don't flush anything that is non-biodegradable or petroleum based. Excessive use of household cleaners is not good either. These chemicals can stress or destroy the biological treatment taking place in the septic tank. Knowing how a septic tank works will help you understand why you shouldn't flush anything and everything down the toilet. 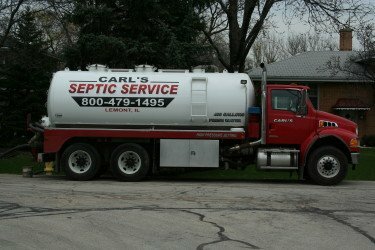 Should I add something to my septic tank? Yes. Adding a good quality bacteria and enzyme septic treatment to your system is like you taking your daily multivitamins. The reason is that we live in a very sanitary society. We like to clean our homes with strong anti-bacterial chemicals such as bleach, ammonia, toilet bowl cleaner, caustic tile and grout cleaner, etc. So where do these bacteria killers go when you have finished cleaning? To the septic tank and drainfield killing off more bacteria. Routine septic system maintenance is important and an inexpensive way to greatly extend the life of your septic system.